As a leading moving and relocation company in Greece, our commitment to each and every client is to provide the highest quality service for all of their removal and relocation needs through professionalism, experience, and accountability. Our edge is personalized service with a human touch. Our focus is total client satisfaction. Our goal is to achieve the best moving and relocation solution. Our success is in the way we follow through with care. As a top moving company in Greece since 1986, Celebrity handles a wide range of household moving, office moving, fine art, storage and customised relocation services delivering quality personalized service for a large range of clients. Over the years we have gained approved provider status for the Hellenic Ministries and are contractors for the US Embassy. Other satisfied clientele includes Embassies, cultural institutions, museums, multi-national corporations and private individuals. Cultural institutes, museums and renowned artists work with Celebrity’s Fine Art department to handle their art exhibitions worldwide. Private individuals depend on us to move anything that can be moved. From household goods, cars, boats, private art collections to their beloved pets, since we take care of everything for them. Our resourceful and attentive Relocation department covers a wide spectrum of destination and relocation services in addition to offering simple pre and post-move assistance to clients facilitating their adjustment to Greece. 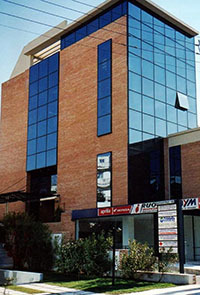 They effectively manage and control the entire relocation process that is tailor made according to each client’s needs. Nevertheless, our most important accreditation has always been and always will be our clients. Every single one, from individuals, SMB’s, multinationals, embassies and ministries alike can all attest to the end result of the Celebrity experience. 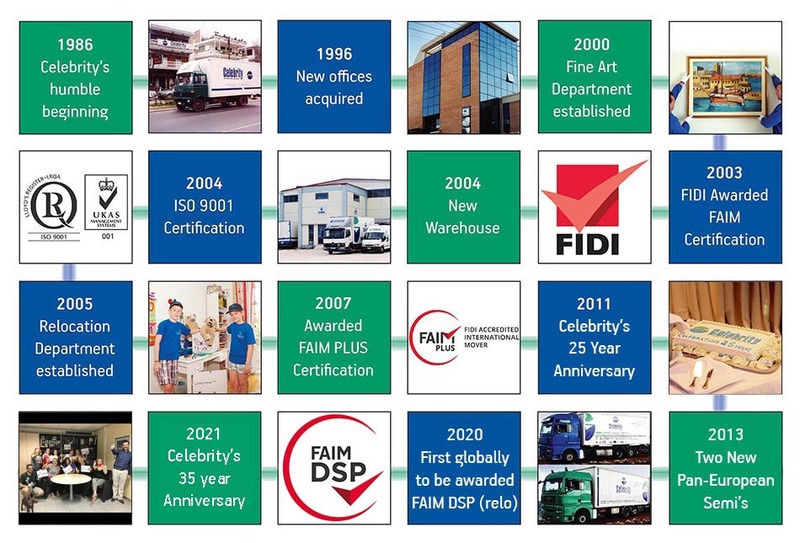 The Celebrity team of packers, office staff, van operators, brokers and agents all share key values, expertise and a philosophy for success in the removal business. Rest assured your next move will be your best move with a company that cares. As a responsible company we believe that our long-term future is best served by respecting the interests of all our stakeholders: employees, customers, suppliers, partners and the wider community. We actively look for opportunities to improve the environment and to contribute to the well-being of the communities in which we serve. Social and environmental responsibility involves everyone. In Celebrity we follow the philosophy of shared responsibility as well as its rewards. We aim to develop and implement social and environmental policies which fit in with our employees' everyday activities and responsibilities. We will communicate our environmental policies, objectives and performance openly and honestly to our employees and to others with an interest in our activities, including customers and suppliers/partners. We will encourage them to communicate with us and will seek their views. We are committed to improving our performance. We will take into account technical developments, costs and customer concerns and expectations in the development and implementation of all new social and environmental policies and procedures. We will monitor our performance, set objectives for improvements and report our progress. We believe in continuously giving back to the community that has given so much to us. Especially those who are in greater need. Celebrity participates actively, sponsoring charitable events, making financial donations and donations of services. 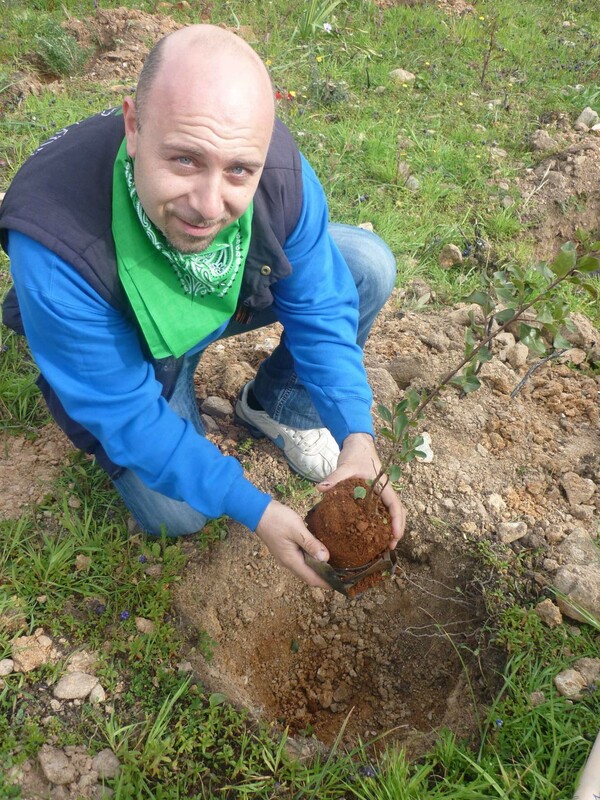 One of our Senior Move Consultants participating in a reforestation initiative Celebrity respects the environment. As a socially responsible company that complies with environmental legislation, our aim is sustainability. We are constantly trying to reduce our environmental footprint, making sure we are “meeting the needs of the present without compromising the ability of future generations to meet their own needs”.